Holiday in this traditional Irish eighteenth century cottage on the North Coast of Northern Ireland. Coves’ Cottage has been lovingly maintained, balancing the charm of original features with modern conveniences. It provides self-catering accommodation in an area of outstanding natural beauty. 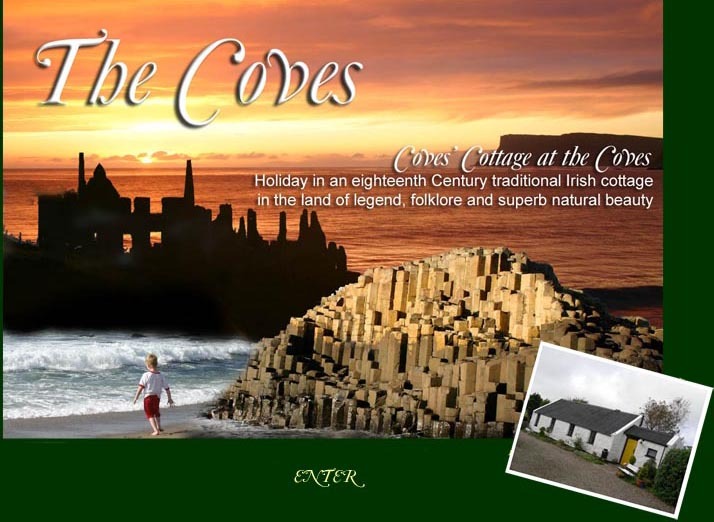 It is a Northern Ireland Tourist Board approved property since 2007.